We have been hard at work here in LIGC. We are so inspired by what people are doing in the world of global change and sustainability and we have been talking to some of those organisations who normally focus their education on adults, to see if they would like to share their work with young people, through LIGC. We are totally delighted that the Ellen MacArthur Foundation, which is one of the most incredible power houses of communication on global issues, is going to take the plunge and offer a learning opportunity for 15-18s with us in Oxford in 2019. EMF are driving the ideas of the Circular Economy into the business community, and supporting many new innovative businesses who are embracing these ideas. What is the Circular Economy? When you create a new product, can you use a by-product, or waste product of another industrial process as your raw materials? Can you do this in a way that reduces waste elsewhere - and cuts your costs? Can you design your products to last, to be easily refurbished when necessary, and when they reaches the end of their useful life, to be easily broken down into component parts and materials that can then be used in another process or product? And can you do this while convincing the customer of the value of your work? And can we design an economy that rewards those that design and create products in a way that reduces their negative impact on the rest of us? If everyone could do this - we would have a Circular Economy. Why is this important? Basically because we are running out of space to put our rubbish, and we are using our remaining resources much faster than they are being replenished by the planet - the oceans are full of rubbish, we have plastic particles in our drinking water, and species are dying out at an unprecedented rate, threatening our very futures. Yeah - and it’s really much cleverer and more sophisticated to be circular! This is Olya Krestyaninova who is teaching with us this year. Olya is a 1+1 graduate student at the University of Oxford. She recently completed an MSc in Environmental Change and Management and is currently working towards her MBA at Saïd Business School. Olya is the lead project developer of the Circular Economy Circus, which is supported by Skoll Center for Social Entrepreneurship. Olya's research and background is in environmental and sustainability education, specifically in Central Asia. She focuses on engaging youth with environmental issues through innovative communication and experiential learning. Olya holds a BS in Chemistry from New York University, she is a WEF Global Shaper, and Global Academic Fellow at NYU Abu Dhabi. One of the wonderful things about living in Oxford is that there are so many amazing thinkers that either live here or pass through, and you can hear them talk and join in debates in all sorts of wonderful venues across the city. This week I listened to GEORGE MONBIOT talk about his new book OUT OF THE WRECKAGE at the Newman Rooms. George was talking about how we might be able to bring people together to tackle issues of inequality and environmental damage that threaten our futures, by pointing out the simple truth that human beings are not simply driven by competition with each other, but that we have very strong instincts to co-operate and be altruistic. If this can be our new identity, then maybe we can stop shoring up our self belief with brands and consumption, and gain self respect and confidence in acts that will help others. I also went to a talk at The School of Geography and the Environment by Food Systems expert TIM LANG. Tim was beamed in from London on this occasion, although last year I had the opportunity to hear him speak at the Methodist Church on Woodstock Road. Tim was also talking about how we communicate effectively to people, and "nudge" them towards eating healthily for themselves, and (happily as it seems to be the same thing) for the planet. On Saturday morning I went to the Norrington Room at Blackwells Bookshop and heard ROMAN KRZNARIC (pronounce all the letters and you pretty much have it) talk about his new book CARPE DEUM REGAINED. Carpe Deum means "seize the day". The "regained" bit is about recognising that the term has been hijacked to mean a number of different things, some of which suggest a rather selfish approach to life. Roman's ideas abutted with George's in a potentially useful way. If we can relish our life today with an eye on our responsibilities towards others, we might live more fulfilled lives. On Monday I went to the University Museum of Natural History and heard WILL STEFFEN, an American chemist give a wonderful, far reaching and far sighted talk about climate change and other challenges we face. His graphics showed so clearly how since 1950 we have really been throwing the planet out of its normal slow cycles of change. So I have a number of new heroes, albeit conscious of the white male bias of the selection on offer! Samantha is now studying journalism and has very generously written a piece for the LIGC website. "Despite the state of urgency spread among the media concerning climate change, little action has been taken to fight the impending and inevitable consequences of humanity’s ignorance. As sea levels rise and species continue their journey to extinction, the battle is left to the younger generation to save the planet, or at least prolong its demise. Expert environmentalists, working with the Environmental Change Institute at Oxford University, have taken the task upon themselves to educate a new batch of school students every year on the ever-growing list of issues that threaten the survival of nature and all mankind. The Leadership in Global Change (LIGC) Summer School encourages youth to affect change by examining industries that have had detrimental effects on the environment throughout history. Construction, transportation and the agricultural industry have posed serious threats to the wellbeing of the planet by disrupting food production, contaminating water supplies, increasing the number of natural disasters, and polluting the seas. Students probe into the outcomes of civil societies, globalization and the homogenization of landscapes to understand the impact of time/space convergence and polluting industries on the state of a once vegetation-luxurious planet. Inspired by experts in their fields, such as David Attenborough, Dan Barber, Michael Pollan, Jim Hall, and even United Nations committees, such as the World Economic Forum, LIGC leaders advocate resolutions to such problems, while also promoting confidence in management skills. Beyond the textbook education, students are given life experience in authoritative expertise, conditioning them to become the face of a sustainable future by empowering them to become strong, wilful leaders. Through partnership, students are urged to work symbiotically and assertively to deliver solutions and build a new high ground for what lies ahead. While the content, facilities and opportunities of this course are beyond compare, it’s the leaders’ sympathy for others and the respect for the planet that heartens the students to take responsibility for their surroundings. Through teamwork and determination, LIGC makes unimaginable solutions appear to be within the realm of possibility." 2017 courses are over, 2018 is open! We had an amazing two courses this year (2017), with 33 wonderful students joining us. They came from all over the globe and worked hard together to get to grips with global issues and how we can tackle them. We had fantastic presentations and discussions with our ECI experts, some passionate debates, and a lot of fun. 2018 will see three separate weeks, one of which will have a stronger focus on communication and journalism for those who are interested in contributing to progress on sustainability by translating what the scientists are saying for non scientific audiences. Following our session on Food Security, our first 2017 group wrote their own tweets. The aim was to try and convey a message in less that 150 characters. Did we succeed? "LIGC was a real eye-opener; the underlying issues of climate change are much closer to home than we might think. Spending a week in one of the world's leading environmental change research centres made me realise to what extent we are damaging our planet. However, it's not all doom and gloom; LIGC aims to prepare our world's future leaders for the problems they are likely to face (and are already facing). Workshops led by a variety of experts - such as scientists and journalists - shone light on how to become a more effective communicator and front runner in order to successfully tackle these problems. It was genuinely heartening to witness such an enthusiastic group of young people put so much effort into the course. We all came from different countries and different backgrounds, and between us shared a multitude of hobbies and interests. However, it is safe to say that we all had a common passion: we all wanted to play an active role in making a change. A year has passed and the group is still in touch; it's great to see how much my friends from the course have already achieved. I have personally kept many life skills and use them on a day-to-day basis. LIGC was an experience I will cherish for many years to come." We are really grateful to Emily Barbour who has willingly agreed to come along and talk to our LIGC students about water issues. This is what is says about Emily on the Oxford University School of Geography website. We are really looking forward to talking to her. "Emily Barbour is a research fellow in hydrology at the School of Geography and the Environment. Emily's research focuses on river system management and assessing trade-offs between multiple water user objectives. This involves integration of hydrology, ecology, water management policy and operations, stakeholder and expert engagement, and optimisation. Prior to joining the School of Geography and the Environment, Emily was a PhD candidate at the Australian National University and National Centre for Groundwater Research and Training (Australia), and a river system modeller at the Commonwealth Scientific and Industrial Research Organisation (CSIRO, Australia). Emily also has experience working as a consultant in flood modelling on projects for local and state government, and for private industry. Emily's research interests include examining different allocation systems and reservoir operations for managing water scarcity; transboundary water management; understanding flow-ecology relationships and modelling ecological response to different flow regimes; exploring uncertainty in modelling eco-hydrological systems; and using optimisation as a tool to assist in river system management and to examine trade-offs." We are really lucky that Sahar Hasnain has eagerly agreed to talk to our LIGC students this year. Sahar has taken over at IFSTAL covering for Dr Bex White who talked to our students last year and is currently on maternity leave. IFSTAL is all about teaching people about where our food comes from and how it gets to us - and what we need to do to make sure our food keeps on coming. Take a look! This is Sahar's biog. We are really looking forward to talking to her. Saher is an environmental geographer with interests in food systems, food environments, and urban health issues. Her doctoral thesis focused on the influence of factors like fuel scarcities and terrorism on food systems transformations, food consumption, and spatial mobility in urban Pakistan. She has previously worked on interdisciplinary approaches to studying environmental health issues in urban areas at the University of Pennsylvania, and policy proposals for the development of national level energy management cultures at Bahria University, with The National Energy Conservation Centre, Government of Pakistan. We are really lucky that Dr Tom Thornton is going to give our LIGC students an introduction to the research done at the ECI. "As director for the MSc in Environmental Change and Management, I oversee the course and teach various options and modules. In addition, I am a senior research fellow at the ECI. My academic training is in social and cultural anthropology (BA Swarthmore College; MA, PhD University of Washington)." We are very excited that Prof Myles Allen has very kindly agreed to talk to our LIGC students once again. Myles is very busy indeed but was impressed enough with last year's group to give us some of his very valuable time this year. There are so many climate heroes now. In my lifetime I have seen things change from climate being a subject only a few people were worried about to the Paris Agreement which every country except two (sorry - three), has signed up to. It is now cool to want cool. It is fascinating to hear the individual journeys that people have taken to become part of this climate movement. Here are a few examples. We love finding people who are championing sustainable food, so we thought we would share here the names of some of our food heroes. People who are leading the way to sustainable food. Lovely positive clever ideas that make you want to follow. Check out his TED talk and his book. Clare Hargreaves. My inspiring friend, a food writer, creator of the wonderful Feast with a Chef, and contributor to LIGC 2016. Caspar Henderson is a journalist and writer. He has worked for BBC Radio 4, The Financial Times, New Scientist, openDemocracy and other publications, often focussing on environment and energy. He is the author The Book of Barely Imagined Beings, which was shortlisted for the 2013 Royal Society science book prize, and the forthcoming A New Map of Wonders. Our 2016 journalist, Clare Hargreaves, is off working with a flower farmer in Devon so can't be with us this year. Some excuse Clare! LIGC has recently discovered Twitter, and is very excited to be following lots of really interesting organisations. We are retweeting items that show what wonderful innovative ideas people are implementing around the world to address our sustainability challenge. Follow us on Twitter @LIGCOxford to find some of the projects we admire. We are running two separate one-week LIGC courses this year. The first one starts in a few weeks on the 25th June, and the second on 23rd July. We are looking forward to welcoming twelve students to the first week, and eighteen in the second week. As in 2016 we have a huge range of nationalities represented (American, Australian, Brazilian, British, Dutch, Finnish, French, German, Indian, Irish, Italian, Mexican, Pakistani, Saudi, Spanish, Swedish, Swiss and Venezuelan!) from schools in Bahrain, Belgium, Brazil, Canada, Italy, Philippines, UAE, UK, Turkey, Spain, USA, South Korea, Switzerland, Venezuela, Italy and Costa Rica. We are looking forward to some fascinating discussions. A few days ago we asked last year's students to reflect on their experience and how it has affected them over the past year. This is what they've said so far. We'll add more as we get them. "The LIGC course made me think about life after high school. It opened my eyes to the chain of events that can happen as a result of climate change and that diseases or conditions aren’t always as simple as “issue-cause-solution”. The presentation skills session we had with Jenni were particularly useful for MUN. What I loved most about the experience is how people with such varied backgrounds and contrasting views on things can connect, debate and stay in contact after a whole year, with equal enthusiasm as they had at the beginning. I wish we could do the whole week again this year!" "I just wanted to say that I loved LIGC and it was an amazing experience, both from an educational and social aspect. Our group from last year has a group chat and we are still in touch. In terms of what I learned, we explored various different topics from pollution to world hunger and how they affect us both today and tomorrow. Whenever meeting climate change deniers (yes, they still exist), I remember my time at the course and how lucky I was to have learned so much in such an important field, that, honestly, I didn't think I would ever become interested in before participating in the program." "Since the LIGC course, I have taken a greater interest in the environment, and in news and current events on climate change. I am also excited to to study a course related to the environment/ climate change at university, and the LIGC course helped me to decide on an environmental career in the future. Thank you for the opportunity! I had a great time in Oxford and met some great people." "The LIGC programme has inspired a permanent transformation in all of us, by encouraging us to effect change in daily life and in the wider world. Not only has LIGC educated us about urgent global issues, but also given us the means to be confident leaders and humanitarians, working towards eradicating disparities and rebuilding societies sustainably. Once you are part of LIGC, solutions to global issues appear to be entirely possible with the support of the professors, and the support from each other. LIGC breeds compassionate, determined and confident leaders ready to change the world." 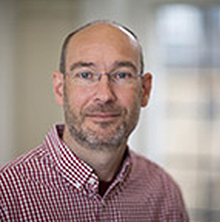 "Pete is a Knowledge Exchange Research Fellow based in the UKCIP [UK Climate Impacts Programme], where he is responsible for developing and supporting knowledge exchange opportunities with external stakeholders on behalf of the Oxford Climate Research Network. Pete’s academic and professional career combines both Climate Change and Education, providing him with the expertise in adaptation and climate change impacts and the skills to communicate the practical implications of such impacts to a wide range of audiences. Prior to his current post, Pete was Training Officer for UKCIP. This involved developing a range of learning (and e-learning) resources and designing and developing innovative approaches to training, knowledge exchange and stakeholder dialogue." Pete is also lovely, really friendly, and very enthusiastic about meeting our 2017 LIGC students. You have to love someone who can publish an article called Using a Game to Engage Stakeholders in Extreme Event Attribution Science in a Journal called International Journal of Disaster Risk Science! For those students who are signed up to this course, I am asking them to think about someone in their life whom they think is a good leader, and consider what are the characteristics that they admire in that person. The person you think of might be a parent, or carer, or a teacher, an activity leader, or a politician or business leader. Try to choose someone whose decisions and approaches to leadership have a direct impact on you so that you can consider your own feelings and how you respond to them as a leader. Do you admire them? Or are you a reluctant or enthusiastic follower? Do you trust them? What do they do, or say, or how do they act that makes you feel this way? One of the leadership characteristics that we are going to look at on the course is trust. People need to trust their leaders, and leaders need to be able to trust their advisors. If you are a follower, how do you know if you are being told the whole truth? If you are a leader, how do you convince others that they can trust you; and as no-one can be an expert in everything how do you know which advisors to believe? We are going to look at shortcuts to deciding whether you can trust someone by looking at their motivations, and their biases. The 2017 courses are full but we have made a few more places available for late comers to join us, so do apply if you are interested. We can also provide a couple more scholarship places, so please do get in touch. We have our wonderful teaching team lined up with a few new faces for this year. And our ECI experts are eager to meet this year's group of students and inspire them about their research passions.